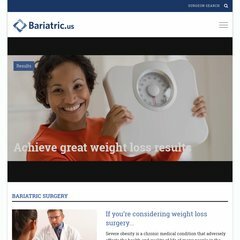 Topics: Bariatric Surgery, Types Of Bariatric Surgery, Gastric Sleeve, Medical Necessity, Pregnancy After Surgery, and Bariatric Surgery Results. The estimated 82 daily visitors, each view 1.90 pages on average. Softlayer Technologies Inc (Texas, Dallas) is the location of the LiteSpeed server. PHP/5.2.17 is its coding language environment. Its 2 nameservers are ns2.hawkhost.com, and ns1.hawkhost.com. PING (208.43.64.67) 56(84) bytes of data.